While there are many different draft day strategies you can utilize come draft day, none have been talked about more in recent years than the zero RB draft strategy. With there being a greater emphasis on throwing the ball in the NFL more and more these days, pass catchers have become vital in PPR leagues. The strategy promotes drafting wide receivers off the get-go to pair with a high-quality tight end, ultimately waiting on the running back position. To make this strategy viable, it's best done in a full PPR league, with roster requirements of 1 QB / 2 RB / 2 WR / 1 TE and one flex position (WR/RB/TE). With the roster construction in mind, you'll now need to draft your pass catchers (wide receivers and tight end) with your first 5 selections before moving onto drafting your running backs. In full PPR leagues, having high-quality pass catchers can be more important than having a workhorse running back who rarely catches the ball. In the later rounds, some high-risk, high-reward running backs who also catch the ball can be targeted. What a start to this draft! While this may not be representative of every draft you will take part in, it goes to show that if the value falls to you in certain rounds, you can assemble one scary-looking squad within the first 5 rounds. You can now begin to fill in your running backs, drafting a combination of high-upside, pass-catching running backs. Popular Zero RB targets' ADP in the 6th-10th round are Rex Burkhead (6.02), Duke Johnson (8.09), Corey Clement (10.08) and Giovani Bernard (10.12). You can mix in some veterans who will get their fair share of carries during the season, which make them great values at their current ADP: Marshawn Lynch (7.04), Isaiah Crowell (7.11), and C.J. Anderson (9.01). 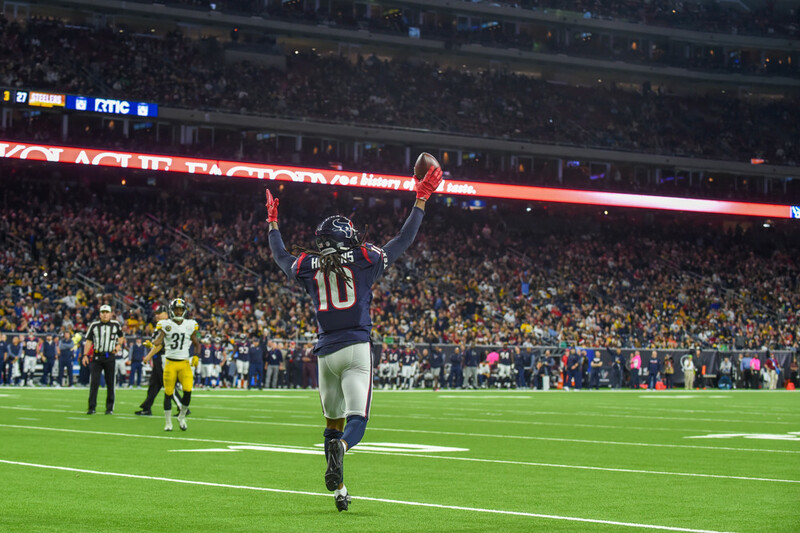 After drafting a sufficient amount of running backs and selecting your quarterback somewhere in between, it's time to find some very late round dart-throws in which you can find your diamond in the rough: WR D.J. Moore (10.08), RB Nyheim Hines (10.10), WR Mike Williams (11.04), and RB Kalen Ballage (14.04) all provide high-upside while only costing you a late round pick. If you're able to hit on at least one of your running backs drafted in these later rounds, you can surely find a waiver wire pickup early in the season to add to your already stacked fantasy team,or compose a trade in-season with an owner who's lacking at the WR position. If you're able to secure two running backs off the get-go? You're well on your way to dominating this fantasy season and have a leg-up on the rest of your league mates. When utilizing the Zero RB draft strategy you will inherently need to apply the Late Round Quarterback strategy as well. Zero RB is not a strategy you necessarily go into the draft that you absolutely must employ, it's merely an option depending on the value dropped to you during the draft.